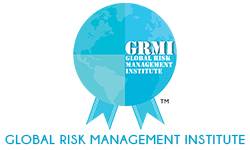 Post Graduate Diploma in Risk Management (PGDRM) is a 1 year full time on-campus course. Our campus is located in Gurugram,Haryana. Enterprise Risk Management (ERM), Internal Audit (IA), Regulatory Compliance, etc. Selection Process: Personal interview is conducted after application. On the basis of this personal interview, the candidates are selected. MIN. 50% IN GRADUATION AND INTEREST IN RISK MANAGEMENT.